Good evening & welcome to #TuesdayTreats! Hope the first day back to work after the bank holiday weekend wasn’t too tough? It was a friend’s birthday on the weekend, so in honour, today’s #TuesdayTreats features 5 gift ideas for girl friends, for every budget. Fifty Shades of Grey by E. L. James – Romantic trilogy is topping WHSmith’s Paperback Fiction Chart @ £4.99. Pivoine Délicate Duo Roll-on & Gloss by @LOCCITANE – Limited edition 2-in-1 of eau de toilette & lip gloss @ £16. OMG One Free Blowdry by @Hersheson at @westfieldlondon bar or @One_New_Change bar – Won’t blow the budget @ £24. ‘And Mary’ Cut-out Swallow Leather Purse by @OliverBonas – Charming charcoal/gold soft Italian leather purse @ £38. 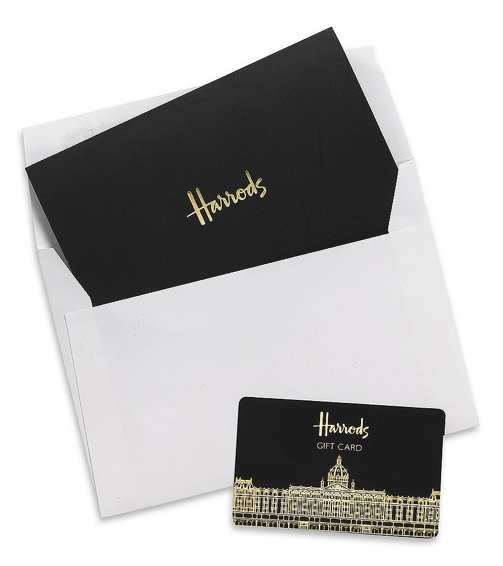 Gift Card from @HarrodsofLondon – Give the gift of shopping in the beautiful surrounds of Knightsbridge’s finest. 5 gorgeous gift ideas for girl friends but which will be gifted today’s coveted #GTopSpot?